As a lawyer and small business owner, I understand how easy it is for us as women to push past fatigue, aches, and pains to do what needs to be done but we must take care of ourselves. Even First Lady Michelle Obama has been extremely vocal about taking time to pamper yourself and recharge. As Miss Black Georgia USA 2012 I am honored to join the national Miss Black USA family as a spokeswoman for the Heart Truth campaign. With National Wear Wear Day behind us we must take the same excitement and energy to move our friends, sisters, and mothers towards recognizing the signs of heart disease and living healthier lifestyles to prevent this silent killer from taking over our community. - Took 300K lives in 2008 with breast cancer being the 5th leading cause of death taking 40K lives. 1. Affirmations- Never underestimate the power of speaking positivity and success into your life. Outline your goals, have your affirmations already in mind. As you shower, eat lunch, sit in traffic take a moment to speak these affirmations hear them come from your lips. This will not only keep you focused on your goals but work out any stress that you may have resting on your mind. 2. View Yourself as a Business- Businesses have holidays and hours of operation and SO DO YOU. Require others to respect your life and be very up front about what time is for your family and yourself. Some of the world's most successful CEOs take off a weekend each month with no phone no nothing to just recharge! If you constantly make yourself available someone will constantly make themselves your priority. Set a schedule, block out a day, or even just a couple hours where you are the priority! 3. Give Back- Although we all know the saying, "You never know what someone else is going though. "when we get caught up in the stressors of life we often forget how real this is. Volunteer at a shelter, a nursing home, an after school program. MAKE TIME TO GIVE BACK. Put it in your schedule. Many employers encourage community service and have projects you can join. If not give just one hour of your week to someone else. Helping others not only feels amazing but also places our stressors in a completely different perspective. 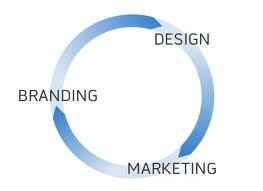 One of my favorite aspects of brand building and marketing is the Design Phase. I can't help it! I am completely a mush for the creative side of branding. In this world I am able to guide my clients through a garden of limitless imaginative opportunity that reflects core messaging and/or the fundamentals of their brands at best. By the time you approach this stage of the brand building process, it’s critical that you've completed the prerequisites so that the design you settle upon is as effective as it can be. Unsure of what those prerequisites may be or how to get started? Check out Proper messaging=Ideal brand positioning. Now that we are all on the same page, let's begin to design your brand! A brand design is the visually projected elements of a brand experience. This visual can resonate as graphic logos, website designs, product packaging and more. 1. Trendy is out Timeless is in... Often times we, as our own BOSS, allow biased likes or dislikes to heavily effect the decisions made within our businesses. Because our businesses don't have the checks and balances as say, a multi-leveled corporation, we have to make that much more of an effort not to fall into our own taste, but that of our ideal client or customer. Creating a scalable brand design that accurately targets and grows with your market is key! Never get caught up into the 'now' of brand design. Remember trends don't last! **Miji's tidbit: For a while many new Black owned businesses were creating brand designs with the 'Bentley Wings'. Although trendy, for whatever reason, the 'Bentley Wings' were not original and often times had no relevance to the business at hand. One of the many brand design rules that this violated is that of trendy vs. timeless. 2. Simplicity Wins... There's no sense in having a brand design that is so complex and multicolored that it becomes incomprehensible. When designing your brand keep it simple! Now's not the time to incorporate all of your favorite colors and shapes; instead adopt the concept of clean and functional. A good brand design should be able to grow with your company, distinguished, easy to reproduce on marketing collateral and brand materials and be memorable by your core audience. 3. Taglines & Mottos MUST Reflect Messaging... In the Proper messaging = Ideal Positioning stage, we discussed how to arrive at your ideal messaging. More than likely you wouldn't use your entire mission statement within your brand design; however, and taglines or mottos used within the design MUST be birthed and a direct reflection of your core messaging. By doing so, you maintain the consistency of your brand which will in turn result in the potential of increased impressions. The consistency of the core messaging within your design also allows you to avoid projecting conflicting ideas, instead illustrating the key benefits and values of your brand. Ultimately, a brand design whether in the form of a logo, website or product packaging is a visual representation of everything your company stands for. It’s a very important part to the overall brand building process and should be thoroughly thought out. After settling on the message you'd like your brand to convey, explore your options of what symbols, color(s) or overall design best matches with it. And most importantly, be certain to remember that the consistency of the visual with your messaging has the power to increase awareness and build brand loyalty.